Even here in Quebec I have been able to collect chickweed in the winter months when the snow is light and the area it grows in is protected from the worst of the winds. 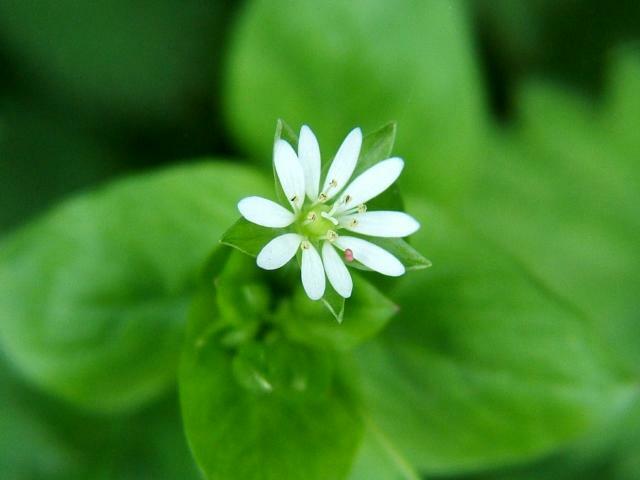 A common backyard herb, chickweed is one of the most readily available weeds in the world. 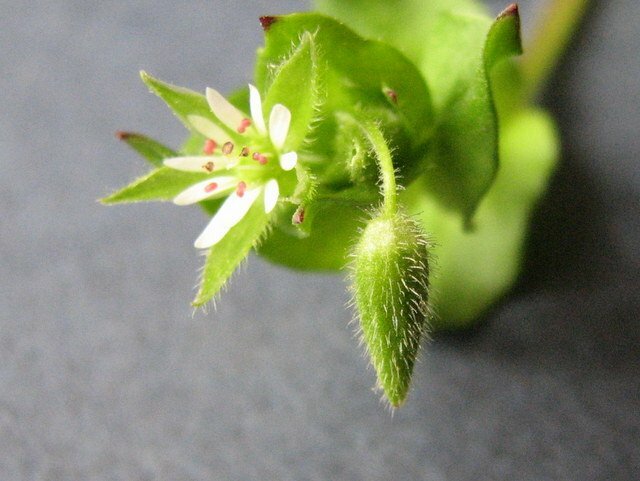 Introduced from Europe chickweed plant grows abundantly across North America and can be found in yards, disturbed areas, moist sites, cultivated land and woodlands. An annual herb, chickweed can sometimes grow to 12 inches tall with trailing stems that grow upright as the plant matures. There is a single line of hairs that run up one side of the stalk that can be seen with a magnifying glass. This line of hairs will run up one side of the stalk until it reaches a pair of leaves then it will continue on the opposite side to the next pair of leaves, alternating sides of the stem between each pair of leaves. Leaves are opposite, simple, entire along the margin rounded at the base and the lower leaves have a conspicuous leaf stalk. Flowers form single or few flowered clusters, are long stalked and each flower has 5 deeply lobed petals. The fruits are small reddish-brown capsules containing many tiny seeds. The leaves, stems, and flowers are used in botanical medicine containing vitamins A, C, and B, calcium, phosphorus, potassium and zinc. Always collect your chickweed when not in bloom. If what you find is in bloom feel free to clip it back to force new growth. Chickweed has a high procreating instinct and will continue to mature seed even after being cut from the main plant. In my patch I have found that the more i clip it back the healthier and fuller the plant becomes and by tossing blooming tips back into the patch the plant re-seeds itself readily. In a large bowl place the flour and make a well in the center. Add the eggs, salt, olive oil, and water or milk. Then add the herbs using your hands, work the dough together. Keep working till the dough forms a ball. Turn the dough onto a lightly floured board and knead, adding more flour if needed, until smooth. The kneading will take about 10 min. Cover with a bowl or cloth and let the dough rest for 30 min. Use a pasta machine or roll out dough to 1/8 inch thickness, flour surface and fold pasta multiple times and slice into one quarter inch wide strips. These can be cooked immediately or hung to dry for latter use. Feel free to substitute you favorite herbs to this recipe to find out what works best for you. 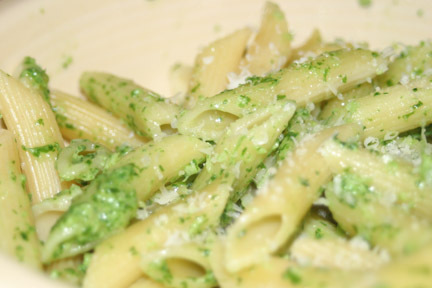 Feel free to try adding chickweed to your favorite pesto recipe to garnish your herb pasta. A side of fresh chickweed salad and you will have a meal that cannot be beat!